ResCoM (Resource Conservative Manufacturing) is developing a systems-led decision making tool and methodology to support manufacturers in transitioning to closed-loop products that are designed for multiple life cycles. By shifting away from optimising isolated parts of a system, companies can make greater returns by addressing the whole system in which their products are made, rethinking the relationships between materials, design, supply chain and business models. However, currently, to our knowledge, there are no tools that can support manufacturers in adopting such a systemic approach in product design for multiple lifecycles. 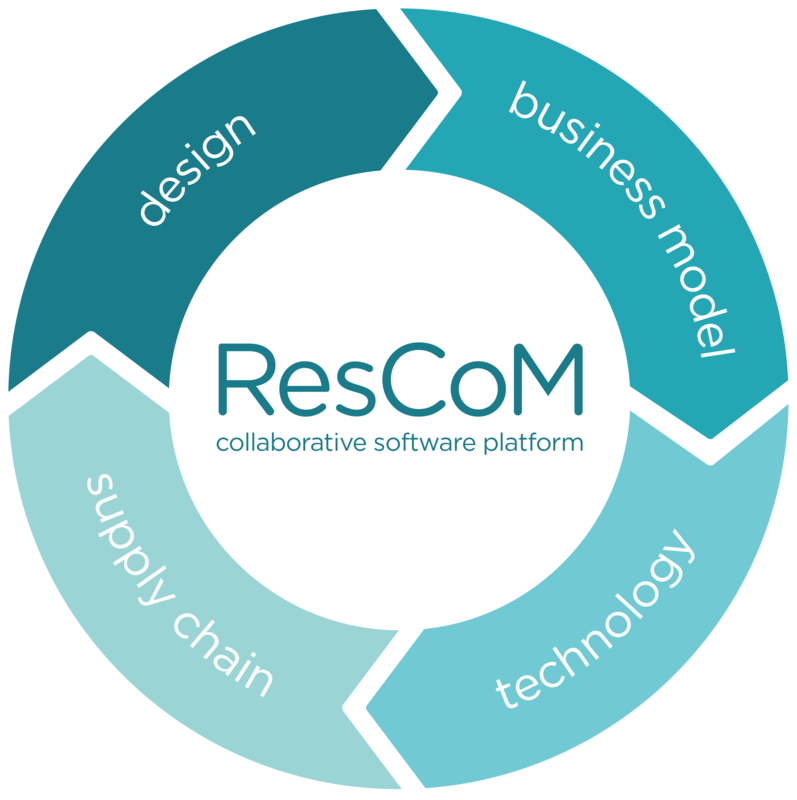 ResCoM seeks to redress this by developing a systems-led circular design and decision making tool for manufacturers that can support industry in transitioning to more closed-loop models and facilitate the transition to circular industrial systems. The diagram below shows the four pillars of the ResCoM approach which dynamically interact with each other. ResCoM considers four pillars that are all dynamically interrelated and should be considered as a whole.